These links are being provided as a convenience and for informational purposes only; they do not constitute an endorsement or an approval by West Virginia Northern Community College (WVNCC) of any of the products, services or opinions of the corporation, organization or individual. WVNCC bears no responsibility for the accuracy, legality or content of the external site or for that of subsequent links. Contact the external site for answers to questions regarding its content. Please let us know about existing external links which you believe are inappropriate and about specific additional external links which you believe ought to be included. 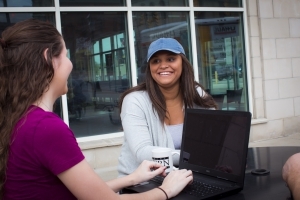 The college provides a free online job search service to students and alumni. Visit College Central to activate your account today! For individuals seeking employment at WVNCC, please visit the Human Resource Office. Glassdoor is the fastest growing jobs and recruiting site. Glassdoor holds a growing database of more than 8 million company reviews, CEO approval ratings, salary reports, interview reviews and questions, benefits reviews, office photos and more. Unlike other jobs sites, all of this information is entirely shared by those who know a company best — the employees. Add to that millions of the latest jobs — no other site allows you to see which employers are hiring, what it's really like to work or interview there according to employees, and how much you could earn. Glassdoor is also available via its mobile app on iOS and Android platforms. http://hvacjobscenter.com/ is an HVAC, Refrigeration and Plumbing job board with a strong emphasis on HVAC Technician and Installer jobs all over the country. It is entirely free for students and job seekers with many advanced tools to help them find a new job: online resume, job application follow-ups, email alerts, a career blog and more.